Michael Vick is an extraordinarily talented and extraordinarily controversial NFL quarterback. Most people are aware of his amazing talents on the field and of his amazing controversies off the field, but in order to truly understand Michael Vick, you must first understand where he came from. 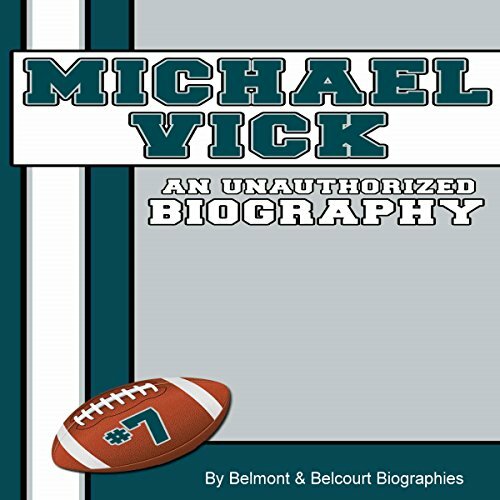 Michael Vick: An Unauthorized Biography explores Vick's early life, his high school and college careers, details his dog-fighting conviction and other personal troubles, and explores his career in the NFL all the way through April 2013. Vick's exceptional talents and off-field troubles have fans and critics alike wondering where his career will take him next. Inside, you will discover where it all started and learn why so many fans both love and hate him so much. From family to football to the future, all you need to know about Michael Vick is right here, right now, in the most up to date coverage of his life. This audiobook also includes all of Michael Vick's college and NFL statistics.